Elevator pitch, do you have one for your book? Something that states your project to the best of its ability in two sentences or less to the point you can say it in 20 seconds. You know, how long it takes for someone to get to their floor if they use an elevator. This is something we hear all the time how we need to have one. For the chance to toss it out at a conference, to an agent, to a publisher anyone who is in the position to listen and decide if they want to hear more. 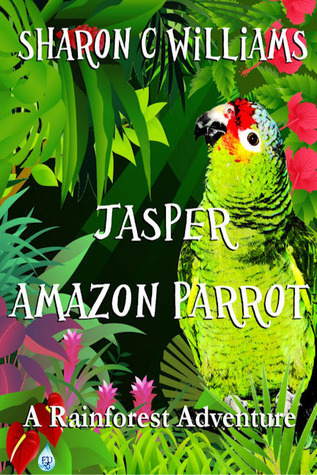 Jasper learns the importance of family and friendship through a rainforest adventure. Hi Sharon. Good post. 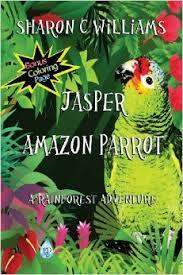 As for breaking a book down in ten words, well, that is not very easy to do, especially with a full novel. I think the lowest i have ever come down to was about 23 words. 25 words is what I have been used to seeing as okay for a quick pitch. I guess it depends on who, when, or where you are making the pitch.